A culinary blog on healthy, plant-based recipes to indulgent desserts and everything in between! This week, friends, I’ve got a shiny new recipe that took many attempts to perfect. I offered to write a guest post for Laura’s Mess and decided upon French macarons. As we Northerners enter into the cold and desolation of winter (Well, we’re technically entering into fall, but we likely won’t be graced with its presence for long before winter shows its face! ), and Southerners enter into the fresh rejuvenation of spring, I decided on a macaron recipe fitting for all seasons and any hemisphere: Dark Chocolate Orange. The slight piquancy of citrus is especially for those of you in or entering a season of warmth, and the chocolate is for anyone, because is there ever not a time for chocolate? This entry was posted in Baked Goods, Chocolate, Citrus, Cookies, How-To, Sweets and tagged citrus, dark chocolate, filling, ganache, Homemade, how to, macarons, orange, recipe, tips, tutorial on September 2, 2014 by milkandcerealblog. Were you beginning to worry about me? I do apologize; I’ve been holding out on you. It’s been months now since I created this cookie recipe, but the impending busyness of life (a full-time job plus two side businesses, et cetera) has prevented me from sharing it with you. Fortunately, the time has come! 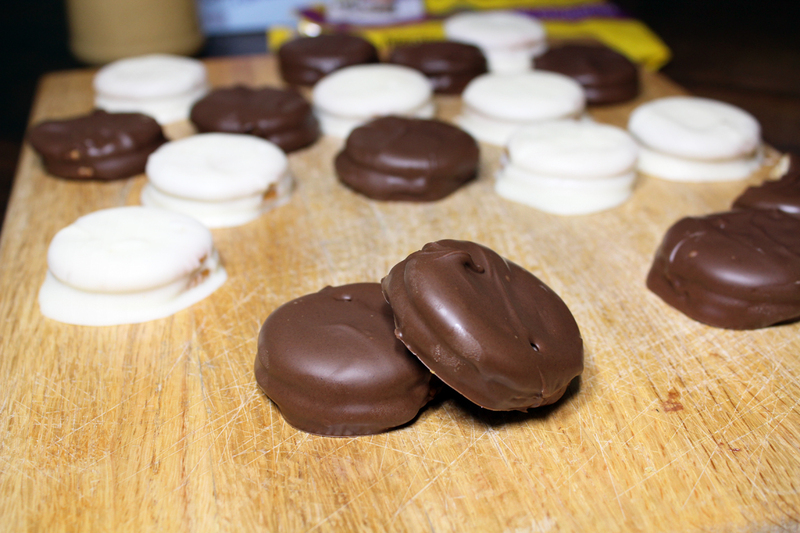 These cookies are for those of you who crave and adore chocolate as much as I do. They’re brimming with FOUR different kinds of chocolate! Is it overkill? No, not at all. I assure you. This entry was posted in Baked Goods, Chocolate, Cookies, Life, Sweets, White Chocolate and tagged chocolate, cookies, cuatro, dark chocolate, four, Homemade, milk chocolate, quadruple, recipe, semisweet chocolate, soft, thick, white chocolate on June 12, 2014 by milkandcerealblog. I hope your sweet tooth is ready, ’cause you’re in for a sweet treat today. Do I really need to say more? I feel like the chewy chocolate and oozing caramel kind of speak for themselves… Ah, what the heck, I’ll tell you more anyway. This entry was posted in Baked Goods, Chocolate, Cookies, Sweets and tagged caramel, chewy, chocolate, cookies, easy, filled, Homemade, recipe, stuffed, sweets on May 3, 2013 by milkandcerealblog. That is the word that best describes how this charming recipe came about. Some friends invited me over to play board games, and I was trying to decide what snack to bring. A brief survey of the pantry offered me some peanut butter chips, milk chocolate chips, and popcorn. This entry was posted in Chocolate, No-Bake, Peanut Butter, Snacks, Sweets and tagged chocolate, easy, Homemade, no bake, peanut butter, popcorn, recipe, Reese's, snack, sweets on March 29, 2013 by milkandcerealblog. It’s hard to believe February is over already. It seems it came and went in a flash. Tomorrow, March 1st, is– get ready for it– National Peanut Butter Lovers Day! While I myself am more of a chocoholic than a peanut butter-holic, I know many people just can’t get enough of that creamy, nutty goodness. So this post is dedicated to all you peanut butter fanatics! 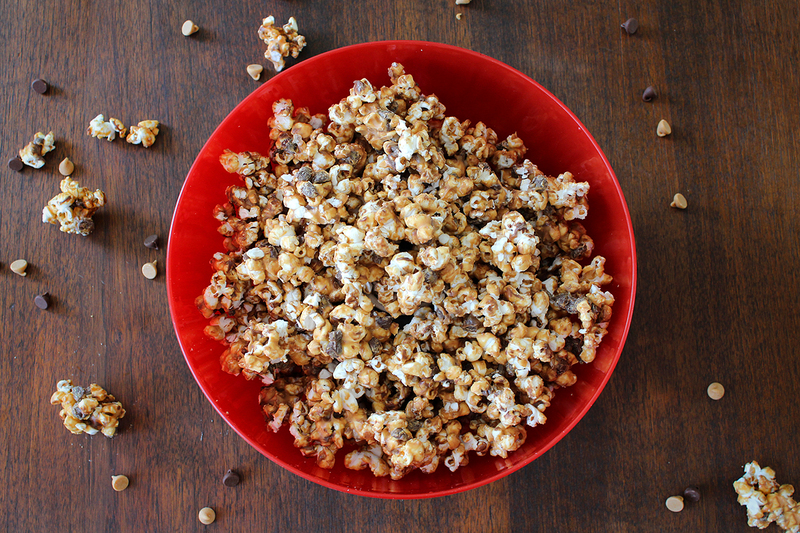 But if you happen to be more of a chocolate lover, fear not; this recipe is for you, too! 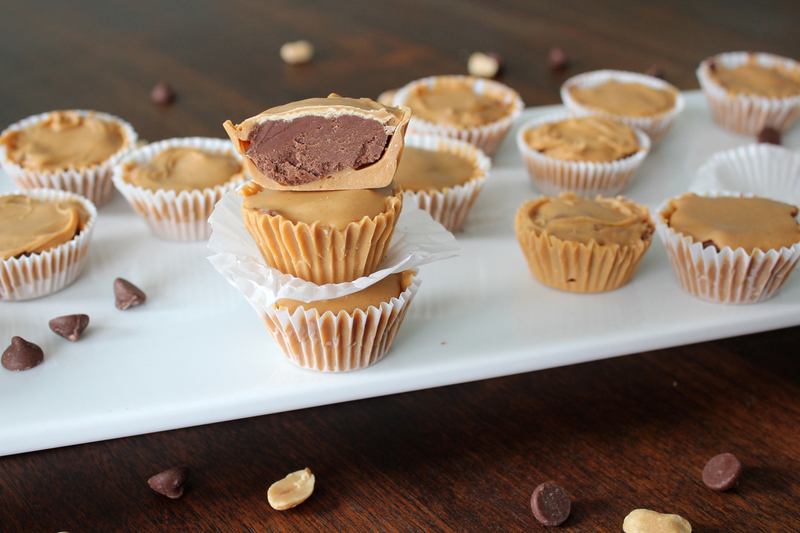 Today’s menu is featuring homemade Inside Out Reese’s Peanut Butter Cups. If you’re not as excited as I am, you should be. This entry was posted in Chocolate, No-Bake, Peanut Butter, Sweets and tagged chocolate, chocolate filling, Homemade, inside out, inverse, national peanut butter lovers day, no bake, peanut butter, peanut butter cups, recipe, Reese's, sweets, treats on February 28, 2013 by milkandcerealblog. I love my husband and would never do anything to hurt him. But I did something bad: I gave him a sweet tooth. Rob grew up eating healthy meals made by his mom, and he didn’t really crave chocolate and sweets. Well, that unfortunately has changed since he married chocolate-loving me. Don’t get me wrong; we still eat healthy, and I don’t bake indulgent treats nearly as often as I want to. But I do fall into the tempting trap of the Sugar Monster on occasion, and I’ve unintentionally dragged Rob into this trap with me. I’m a horrible person. But on a happier note, I made some awesome chocolate peanut butter cookies! After dinner the other night, Rob sheepishly told me he wanted chocolate. I wasn’t about to turn down a request for dessert, so here’s what I made! This entry was posted in Chocolate, Cookies, No-Bake, Peanut Butter, Snacks, Sweets and tagged chocolate, cookies, crackers, Homemade, no bake, peanut butter, recipe, Ritz, Ritz cookies, sandwiches, sweets, treat, white on February 8, 2013 by milkandcerealblog. Hello! Welcome to Milk & Cereal! I'm Ali, and this is my culinary blog that ranges from healthy, plant-based recipes to sweet treats and everything in between. Thanks for stopping by!